You've got 3 feet for par again. Hands snappy, knees shaky, the greens have been fierce at 12 on the stimp and this putt looks like it breaks a foot right! You step up to it, pick your line, make a limp-wristed attempt and it lips out... again! Sound familiar? Fast greens are scary. One and two footers look like 10 footers when you're low on confidence. You start seeing 6 inches of break on a 1 foot putt! Lag putts turn into guaranteed three putts in your head as you walk up to the green. No more my guy, no more! ​Watching the pros make it look so easy on TV, we can learn from their technique​. You'll notice their backswing on putts is very short. There's no need to take the putter back in a long, languid swing when greens are so fast. So how can they do that? Keep reading below. Heavier putters work well on fast greens because you only need a short back stroke to get the ball moving. We don't want to smash the ball on fast greens and a heavier putter moves the ball easier with more weight behind it. The ball also rolls without much bobbling and hopping with a heavier putter because there's more 'stroking' than 'hitting' in the putt. Add more break to what you can see. In other words, never under-read the greens, always add another couple of inches of break. Always try have an uphill putt. If you're chipping, try chip it to a place below the hole. If you know the greens on the course, aim to be below the hole even if you're further from the pin. Downhill putts on fast greens are even quicker and produce even more break! Hit downhill putts off the toe of the putter - I grew up playing on greens 12 or 13 on the stimp all week. When I had a downhiller, I just took the same stroke and hit it off the dead weight of the toe. Works like a charm. On short putts, DO NOT LIFT YOUR HEAD. You should never actually see a short putt go in the hole with your eyes. You should only ever HEAR them. Just trust your line, jam it and listen for the rattle of the ball in the bottom of the cup. I promise you will make more putts. On short putts, take less break and hit it firmer. This goes hand in hand with number 4, because if you hit it firm and miss a 3 footer, you can have a 6 footer back. Keep your head down, trust the line and try slam the ball into the back edge of the hole. You don't want to baby short putts into the hole on fast greens. ​The Spider Tour putters were made for Dustin Johnson and Jason Day and they're not doing too badly at golf. The Platinum version is best for amateur golfers. ​The face of the ​Spider Platinum features an aluminum insert with grooves in it. They create more top spin on the ball to get it rolling with less bobbling for a pure putt that stays on target. ​A long alignment line stands out on the top of the 360g club head making it ultra simple to line up your putt. And with the size of this head, you know it's going where you want it. Countless golfers worldwide are opening their eyes to the possibilities of the NASA space craft looking putters and they're loving it. Most weekend golfers will see an improvement in their putting with the Spider Tour platinum as one of the best putters on fast greens. ​Odyssey made a big comeback and has become one of the top putters on tour again with the innovative approach that made them so famous. ​The White Hot RX7 features a new insert inspired by a golf balls. There's a pattern on the insert to give it a softer feel when putting. Golfers with a straight back and through stroke will do well with this putter. If you have a more rounded putting arc, a blade might be more your style. Three white dots are painted on the leading top line of the club along with two long black lines on the flange of the putter. The rear of the putter extends back with even more alignment assistance. It's impossible to line up incorrectly! ​Famous for their irons, Mizuno also make putters! 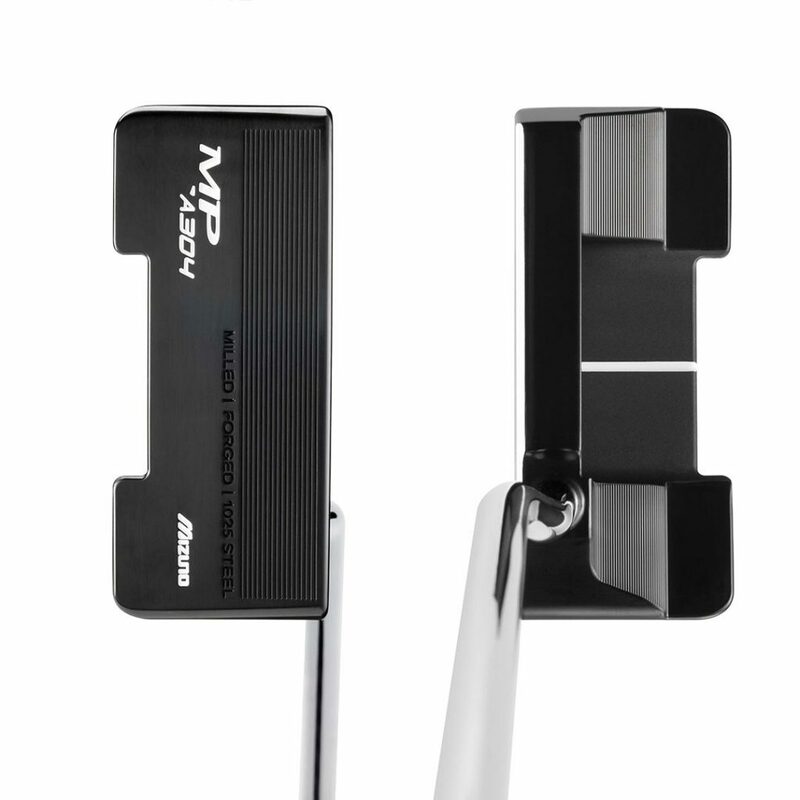 The oversized blade MP-A304 putter looks BOSS. It's easy enough to align the ​putter face at address with the white line on the top of the club as well as the extended sides of the flange. As a big fan of forged milled putter faces, the MP-A Series putters from Mizuno feel soft and give you a true, consistent roll of the ball. Whether you put with an arcing putting stroke or a straight and back, this putter works wonders. Available online in the USA, the precision of Mizuno irons is available in this executive-looking putter. If you like flash colors and people turning their heads, the Brainstorm Happy putter range is right up your alley. 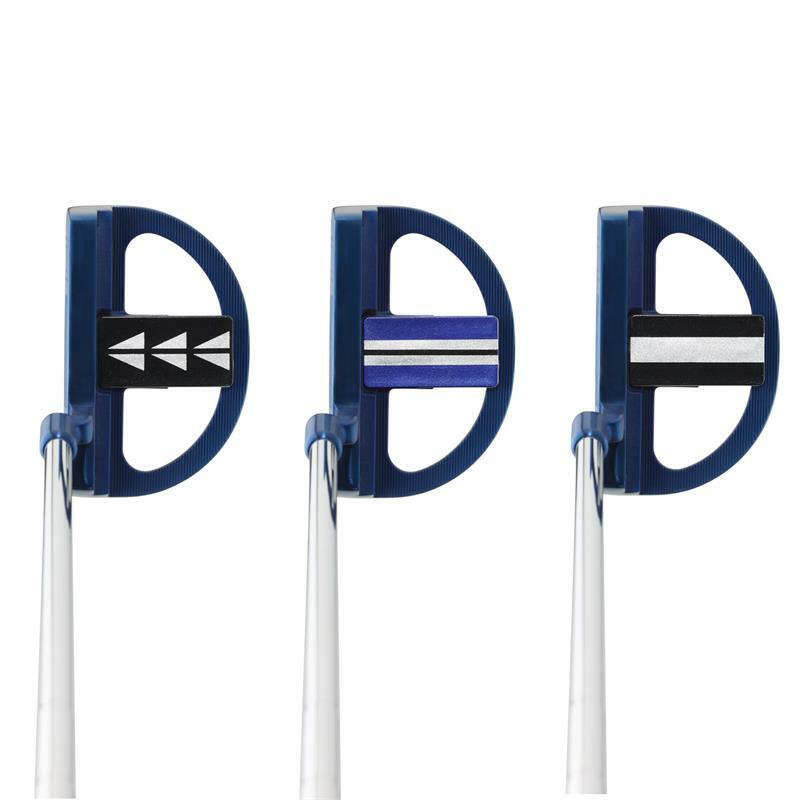 Mizuno make blue wedges, Nike and Cobra make blue drivers, and now we have blue putters! Brainstorm bring adjustable putters to the market in the Happy range - some at the hosel and some on the clubhead. This particular model has weights in the sole of the club head you can adjust and set to your preference. So go heavier for faster greens! You can also adjust which alignment aids you want to use. They supply you three and depending on what your eye prefers, you can change it yourself! It's really easy to line up your putts and with the perimeter weighting behind the face, there is ample weight to drive the ball toward the hole on long putts. 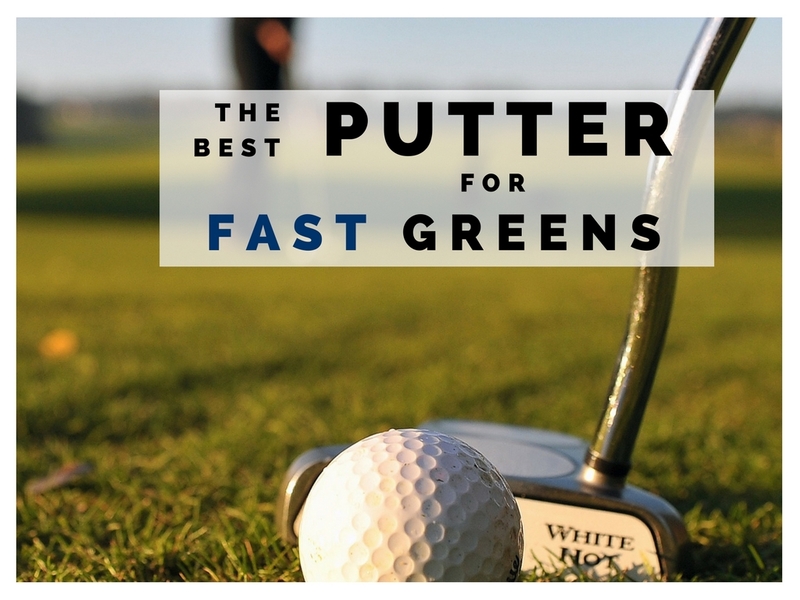 This is the best putter for fast greens for adjustability. Other putters in the Happy range have adjustable lie angles! I hope this guide helped you to find a putter to cure your woes. I played on fast Bent grass greens for a long period and found the best putters were easily the heavier mallets and I drained a ton of putts with them. Short putts on fast greens with a mallet putter is like taking candy from a baby.